So I was sitting beside my husband the other day on our new couch and oh how happy we both are that we changed our suite a couple of months ago (but that's another story). Yes sitting on the new couch happily chatting away with the TV on in the background because we had just watched an episode of one of our favourite series. I said something to him and knew immediately from his response that he hadn't heard what I had said. Instead he had just presumed what I was going to say. I stopped and turned to look at him because -Yes, as is quite usual we were both on our ipads at the time. I accused him of not paying attention to what I was saying but he was adamant that he had been paying attention. because I can tell from your comment to me after I said it. you were telling me what you had told me before, you know I do remember! not what I had just said. I suppose I had started off talking about it in the same way as before but I did want to consider a different idea this time and he had just heard the start and presumed I was repeating my same previous thought so he really did think he had listened to me and heard what I had said. This is very annoying for anyone and not just me. We all like to be listened to and listened to in full. So I was rather annoyed at him. In a way it seemed to me like he didn't want to bother talking about the subject again or listening to anything else I had to say on it. So I definitely was annoyed at him. Later when I was working on the Sunday School Curriculum for our church I was once again at one of those passages we will often refer to as being very familiar. You know those ones that when we hear or read the start we are so tempted to skim over because we have read it or heard it so many times. I need to be prepared to do so. not to bother reading it because I have read that Bible passage so many times before that I know all about it then I will not learn anything new. to skim over it then again I will not learn anything new. to read it but not keep my full concentration on it then how can I learn anything new? Notice that word in each of those last 3 sentences? It is a decision we make to actually pay attention when we read. It is a decision we make to actually listen properly when God is trying to speak to us. Most likely if we decide not to bother reading and listening attentively we will end up having to depend on our memory of before and our memories are not usually perfect. Let's not be annoying to God. Let's not depend on our memory of the last time. Let's not start talking before we have listened. Let's not presume we know it all already. Let's not have the attitude that we don't need to hear from God again even if it is the same subject. Let's make the decision to read and listen and pay attention. I like this! Thanks for the encouragement. I'm guilty of this as well. I only half listen to what my partner says sometimes. Mostly because in my head , runs all kinds of things about how to improve my blog .lol ! What a great lesson, Sandra! And the way you related it to what happened with your husband really brought it to life. My husband and I do the same thing to one another (and to our children) when we're absorbed in our electronics. I definitely don't want to miss something God wants to teach me, because I wasn't really listening! Thanks so much for sharing your experience! Thank you so much for this beautiful reminder an encouragement. AWESOME! I just love this so much. God is really speaking to me today by what I'm reading and yet again, with your post, He spoke to me loud and clear. I need to keep pressing in to what He has to say and listen with fresh, expectant ears and not just assume that I'm going to hear the same old thing. Thank you for sharing and speaking right to my heart today! Awesome blog post! Love it! :) Thank You for sharing. I was in full agreement mode with you until the end. But I don't want to agree with that, because it is too true. I was going to start the "husbands don't listen to us" rally, but then you pointed out how I do it too. Ah, yes. I've been on both sides of the not listening argument. And, you're right, sometimes I skim right over a familiar scripture and I may miss something new God has to tell me. Thanks for linking up at #ThreeWordWednesday. 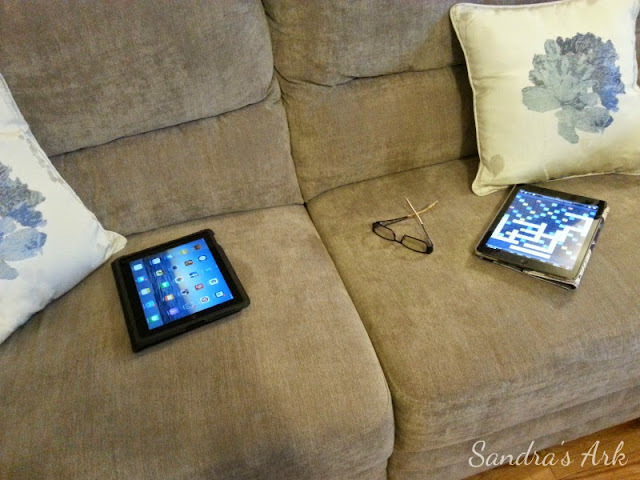 Great post, wonderful reminders in this age of mutual iPads to take time to really listen. Many blessings to you! Guilty! My husband will talk to me and I either don't fully hear him, or hear something completely different than He just said. I am sure I do this with God too, because although I may stop and be still, my mind is racing. I need Him to continually quite my mind and open my ears so that I can fully hear and understand. Thank you for sharing at The Weekend Brew! Great post! May we be Spirit-led to decide to pay attention, not only to our spouse, children, and God's Word, but also when He speaks to us in His still, small, voice. Linked up with you at Tell Me a True Story -- hope you'll stop by Saved by Grace for a visit! We often assume too much and cut our loved one off in mid sentence. I must work on that. Yes, we read the Bible and although it may be familiar, there is always something new to consider. Thank you for sharing with us your awesome story with us here at Tell me a Story. Excellent advice, Sandra! Listening takes intent and an open mind. Thank you for the reminder. Oh, Sandra. I can be sooo bad at this sometimes. Not only with familiar passages, but with just reading the word to "fulfill a duty". I never, ever want God's word to just be black marks on the page. May we always strive to gain something new every time we sit down with Him. Thanks for linking up with Grace & Truth this week! I hope you'll join us again this week! 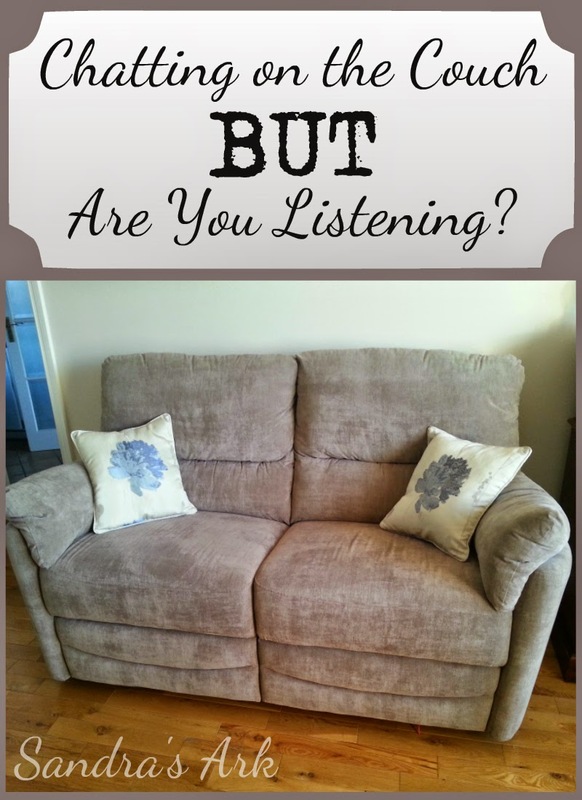 Thanks for sharing your encouragement and inspiration with Small Victories Sunday linkup. Thank you for your post today. It's always nice to hear other's stories. Great points! Thank you for sharing at Women With Intention Wednesdays! I look forward to what you will be sharing this week! This reminded me of a lesson we had in 6th grade about the difference between hearing and listening. It's always stuck in my mind because the teacher said, "You may hear what I'm saying, but are you really listening to what I'm saying?" I guess I actually was that day! Thanks for sharing at the Bloggers Brags Party this week. I'm pinning this to the Bloggers Brags board on Pinterest. Be sure to come back again this week! Oh snap! Convicting post, friend-- but much needed. Thanks for giving me fresh perspective today. It all depends on how long you are married if you want to be heard, lol ! We learn more when we listen. Thank you for inspiring to listen. I need to put my ipad down and listen, so thanks for this great advice!